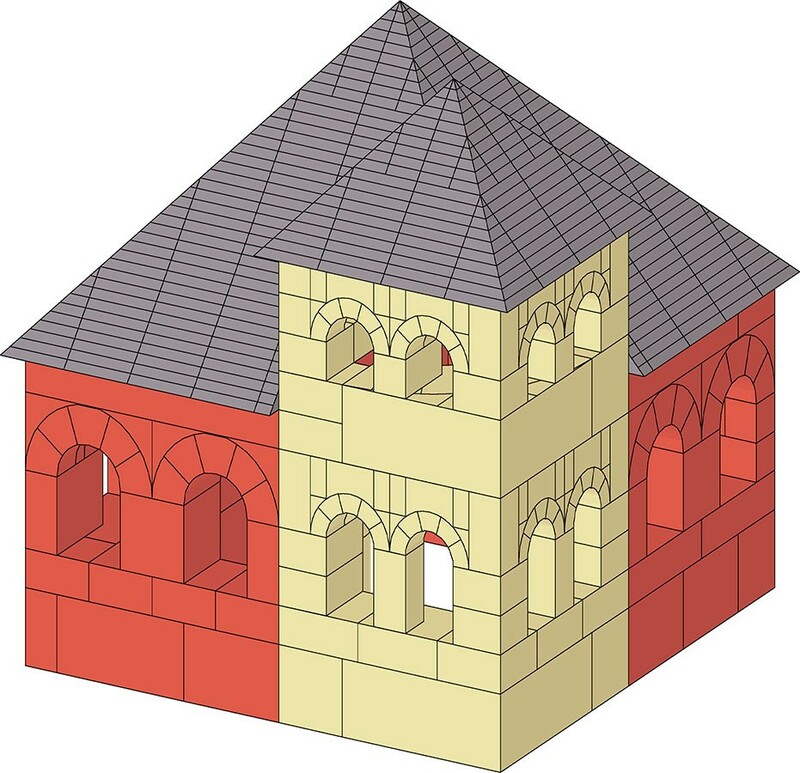 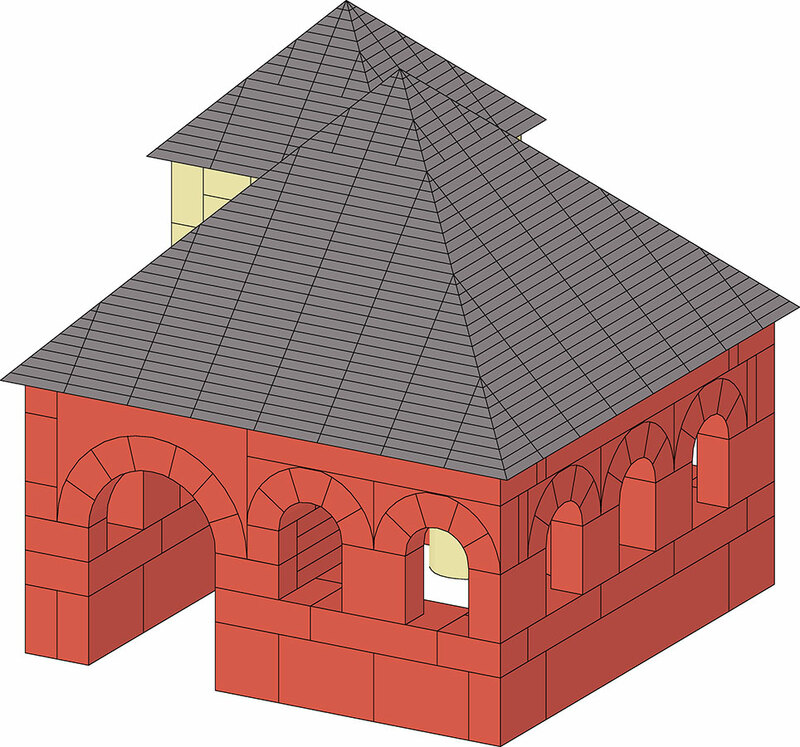 The Bucovina (northern Romania) style house building plan includes elevation and sectional drawings. 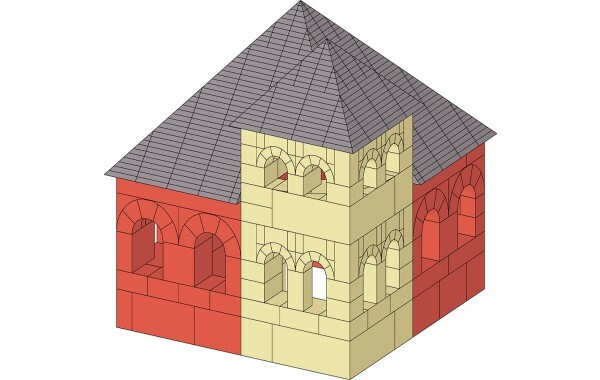 The plan features a square main section where the front-right quarter of the floor space is increased by half a floor. 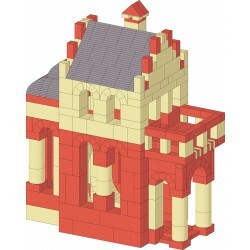 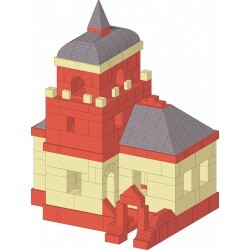 Requires set 18 because of the numerous roof tiles.